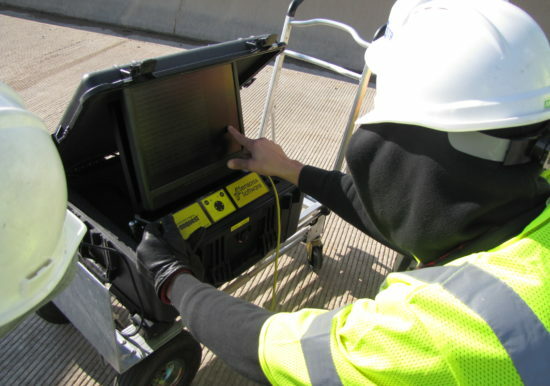 ZS was retained to scan various bridge decks using Ground Penetrating Radar (GPR) at three separate sites located on the Illinois Tollway. Each scan consisted of a series of 8′ x 8′ grids. The quantity of the sequential grids varied based on each site. 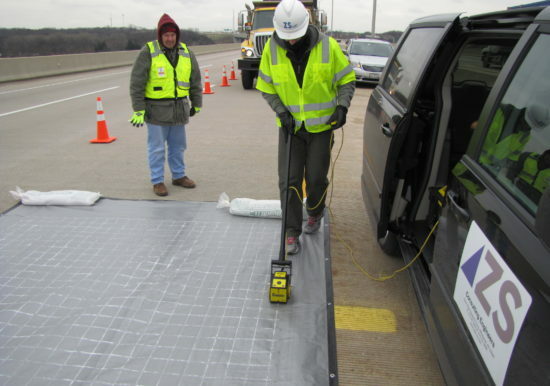 The scan depth of the GPR was set to the full depth of each bridge deck and recorded for each day. 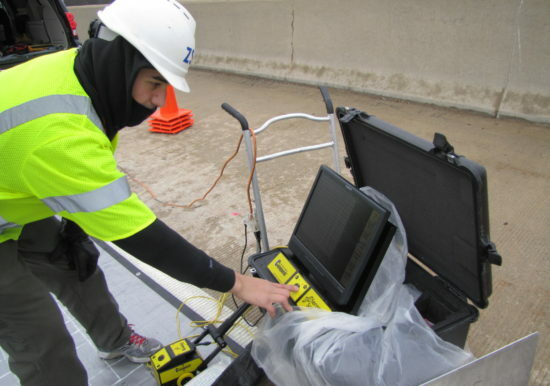 Scanning was performed on the top of the bridge deck only and the GPR was calibrated for concrete type during each scan. 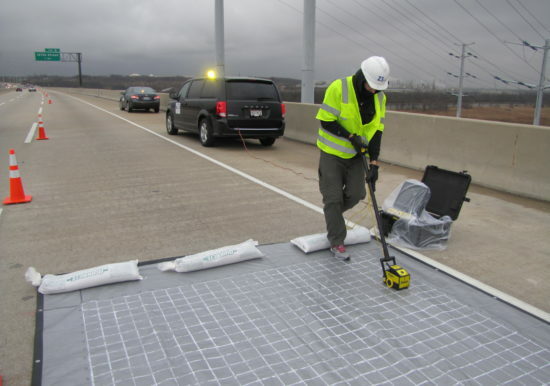 At many locations, the GPR was able to determine the deck thickness and the details of both the top and bottom layers of rebar. 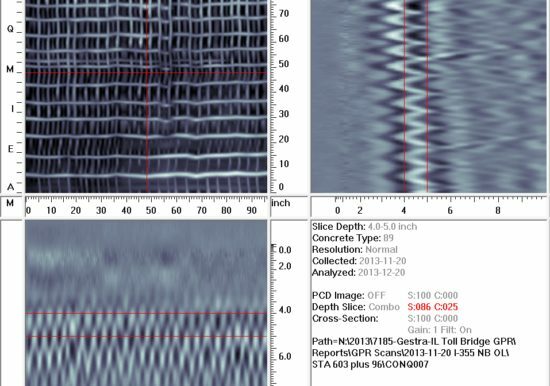 There was a few locations where the top layer of rebar was spaced at 4 inches or less which shielded the GPR wave from penetrating and recording data regarding the bottom layer of reinforcing and deck thickness. It was recommended that the bottom of the deck be scanned if accurate details of the deck thickness and bottom layer of reinforcing are required.